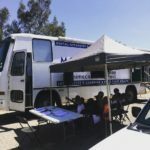 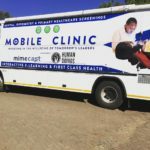 Our final project for the year 2017, Human Doings and Mimecast teamed up to bring a mobile clinic to Emfundisweni Primary School with the intention to provide comprehensive health checks to the learners guaranteeing learners are in complete good health to ensure they can maintain attention and be receptive in class. 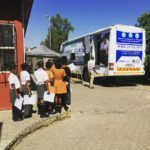 Many learners would not necessarily visit a doctor unless there are serious complications due to the harsh reality that their parents do not have the funds to seek medical professionals or the time off work to wait at clinics and local hospitals, which in most cases have long day queues. The mobile clinic is designed with multiple exam rooms and learners are set to undergo general health checks , dental and optometry screenings. 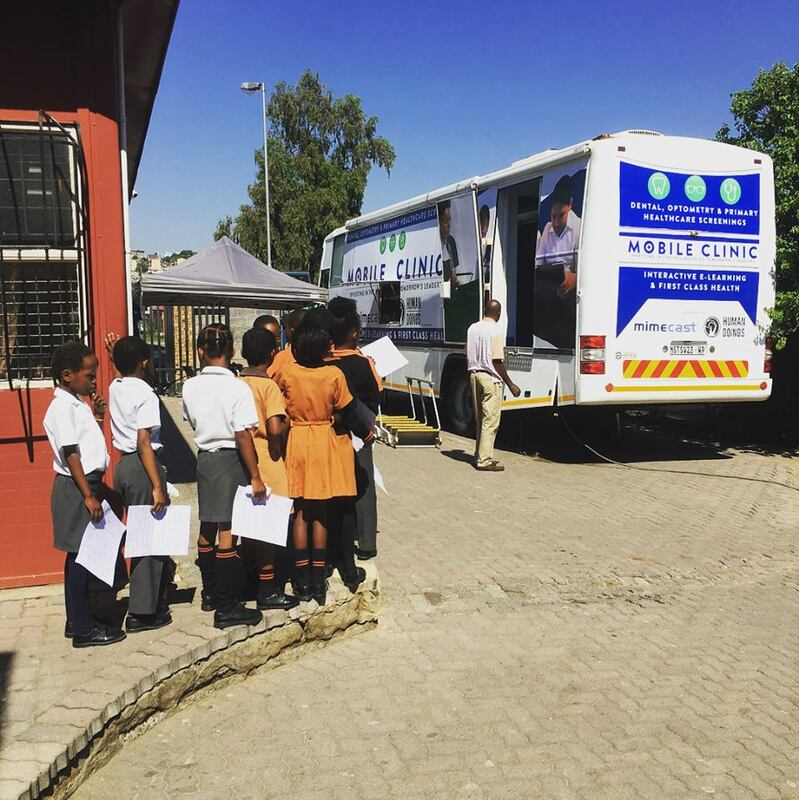 The health checks ensure that learners develop according to growing milestones, have the proper sight to see the chalkboards, ensure they can hear adequately to follow instructions and have the proper dental health so that there is no unnecessary time off from school. 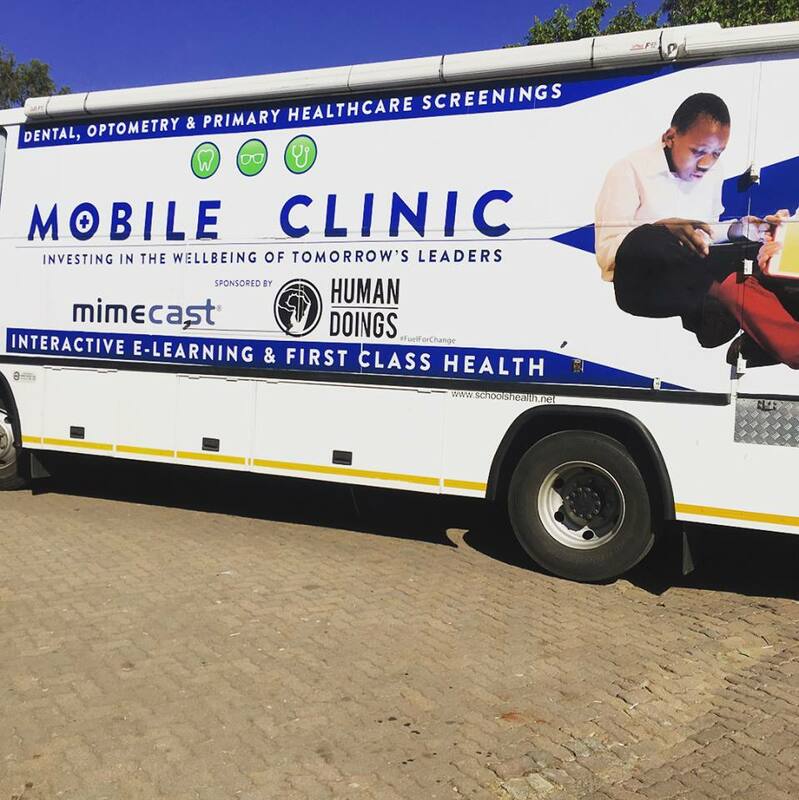 Human Doings and Mimecast teamed up to bring a mobile clinic to Emfundisweni Primary School.